Forza Horizon 4 was definitely one of the best racing games of the year. 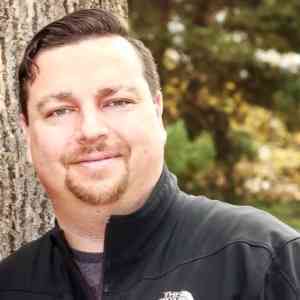 I heaped on the well-deserved praise in our very own COGconnected review. 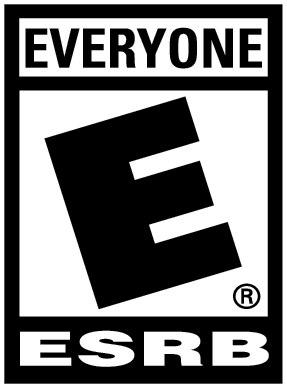 Since writing that review, I logged many, many more hours into that amazing game – but I’ve been hungry for new content. Fortunately, dinner is now served with the release of Forza Horizon 4’s first expansion, Fortune Island. Featuring a brand new location with new events, a new Horizon Story, new vehicles, and a fun new quest that puts drivers on the hunt for treasure – this expansion will give players hours and hours of new content. Much like previous Forza Horizon expansions, travelling to Fortune Island requires you visit the designated location on the mainland – from there you’re a load screen away from the vast Fortune Island. But make no mistake, this is no island paradise. Fortune Island is filled with all manner of challenging terrain that’ll put even the best Forza Horizon players to the test. The atmosphere on Fortune Island retains the same United Kingdom feel but adds enough unique areas to still stand out. You’ll encounter crumbling castles, rocky terrains, jagged mountain tops, quaint villages and so much more. Clearly, the objective was to take what made Forza Horizon 4’s environment so great, then push it to the extreme within a smaller area. Fortune Island is probably about one-fourth the size of the mainland. On Fortune Island, you’ll have a new Horizon Festival location and a brand new quest line that encourages you to complete events with the goal of becoming the Island Conquerer. The event types are all the same as you played on the mainland, with the exception of the new Trailblazer PR Stunt. The Trailblazer PR Stunt gives you a starting point and an ending point – but how you get from beginning to end is completely up to you, just do it fast! It’s worth noting that Fortune Island cycles through seasons just like on the mainland, so terrain will be impacted by different weather conditions every week, creating new obstacles and opportunities – including the seasonal events. My favourite inclusion is the new treasure hunt quest, where you’ll be given a riddle to solve – upon solving it, you’ll have to find a treasure chest within a pretty large area, not unlike the way Barn Finds are handled in the main game. When you first arrive at Fortune Island, you’re treated with a mad dash through a massive storm from the beach to the new Horizon Festival. Lightning shoots down from the sky causing trees to crash down, blocking paths – it’s as if the mighty Thor is annoyed by your presence. As the storm dies down, you begin to notice the sky above decorated with the enchanting aurora borealis – it’s almost as stunning as seeing it in real life (and if you haven’t witnessed the aurora borealis in real life, add it to your bucket list – it’s worth it). Of course, each season is going to provide different visuals, and during my time with it, I only had the pleasure of experiencing Spring and Summer. Spring provided a muddy romp through dirt roads while Summer offered beautiful green fields to plow through – not unlike the main game, but still as impressive. I did, however, notice a few minor graphical issues, such as rocks hovering above the ground. Nothing overly serious, but still noticeable. 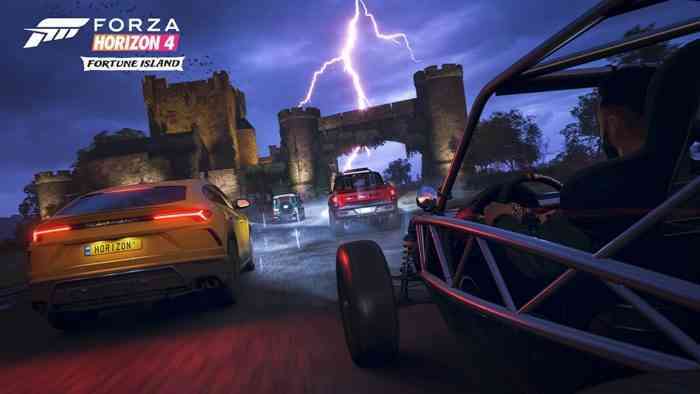 The Fortune Island expansion offers the same multiplayer experiences from Forza Horizon 4. Forzathon’s still pop up every hour. Other players that are sharing the same game server will still drive around doing their own thing. Races can be started and joined on a whim. It’s all still a relatively seamless experience. For the dedicated, the Fortune Island expansion offers some daunting Achievements to earn, including yet another challenge for the beloved Peel P50. On that note, I feel I should stand up on my soapbox for a minute to express my disappointment that Forza Horizon 4 still has some Achievements that aren’t properly unlocking for some gamers. I personally have not been able to unlock the Overachiever achievement, despite meeting the criteria on numerous occasions. I’m not sure if this expansion will have the same issues, as I anticipate it’ll take a few more weeks of playtime to get all of them – but hopefully, it won’t be an issue. However, I’m confident the team at Playground Games are still addressing the Achievement issues. Fortune Island is not as vast of a departure as either of the Forza Horizon 3 expansions were, especially the Hot Wheels expansion. However, the island is huge, with a massive amount of content crammed into it. Even the most dedicated player will be coming back for more, at least for the next month or so, just so they can experience every season in all its glory. 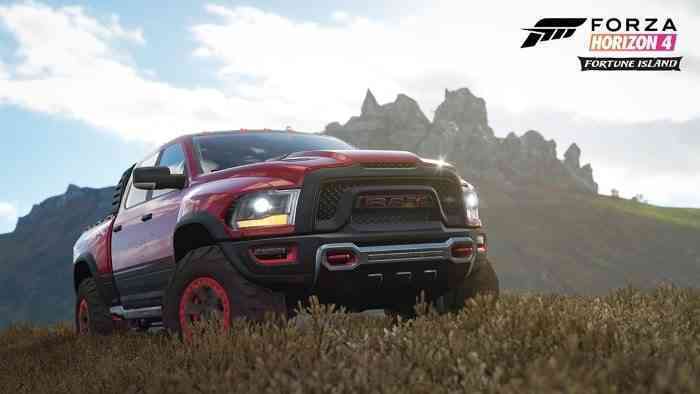 Forza veterans will appreciate the added challenge the terrain brings. Hopefully, Playground Games is still hard at work ironing out any Achievement glitches that some of us players are still experiencing. 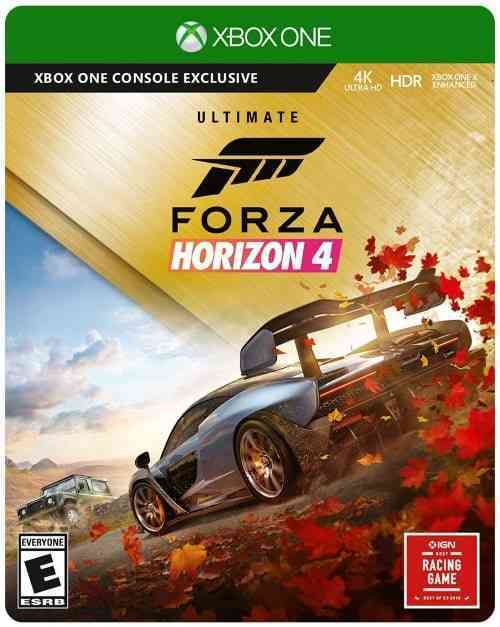 While I hope the next expansion is a bit more wild, much like the Hot Wheels expansion from Forza Horizon 3 – I can still recommend this expansion as a worthwhile addition to Forza Horizon 4.